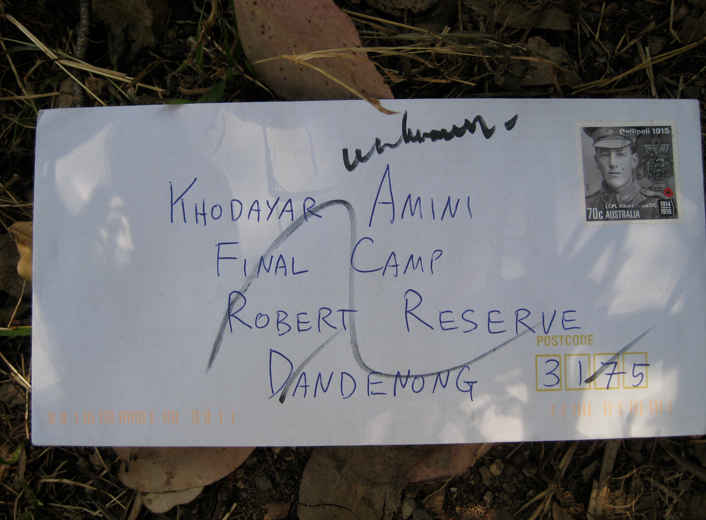 The Final Camp of Khodayar Amini, Robert Booth Reserve, Dandenong. 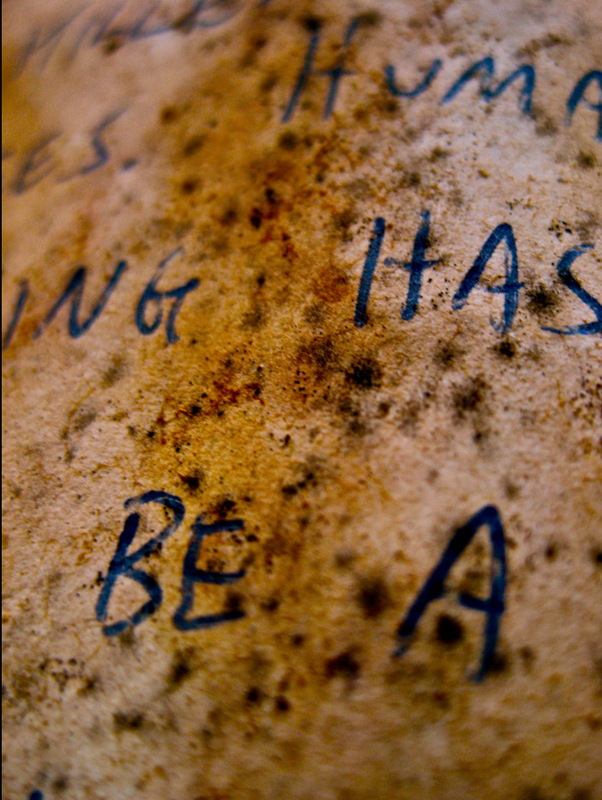 Photo: Stephen Clendinnen. 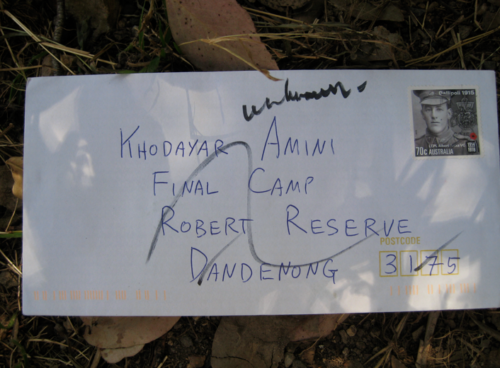 The night before Khodayar Amini’s death, he sent out a statement that he wanted publicised. 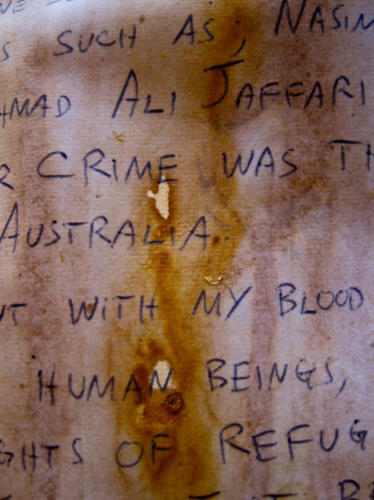 Since his death, Stephen Clendinnen has been transcribing a translation of these words and posting them around Melbourne. Stephen has been documenting this process using photography. 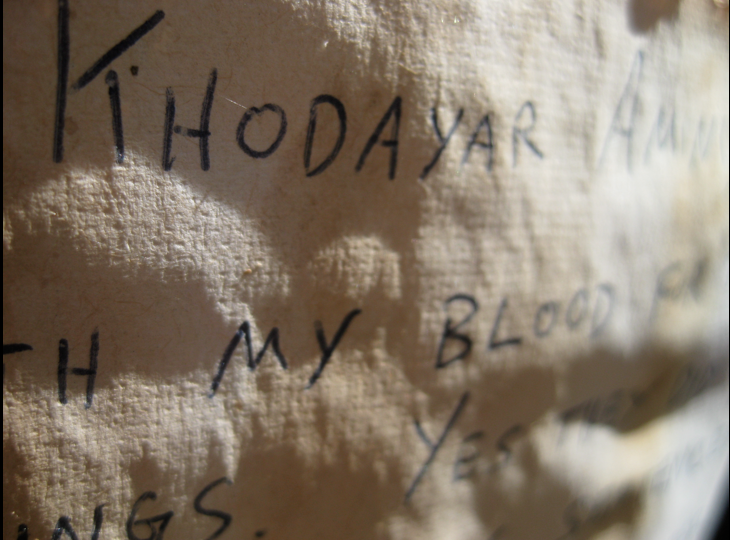 These photographs show Khodayar’s words in situ, and show the process by which the words and the paper age and change. 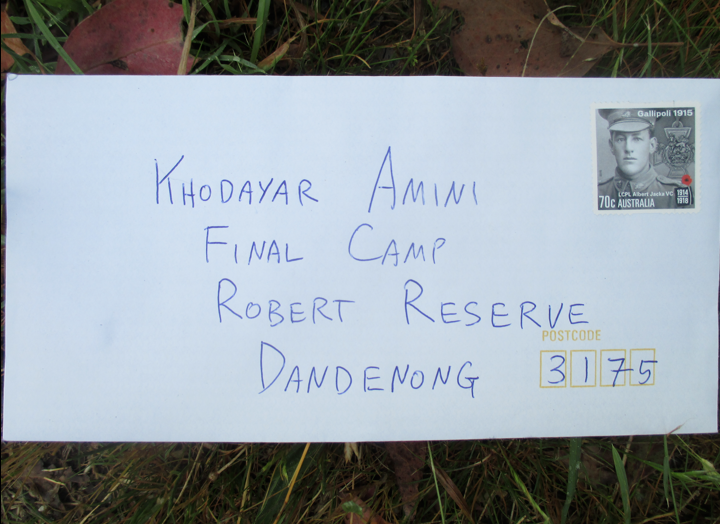 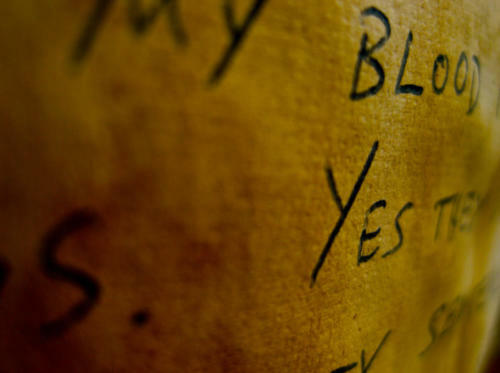 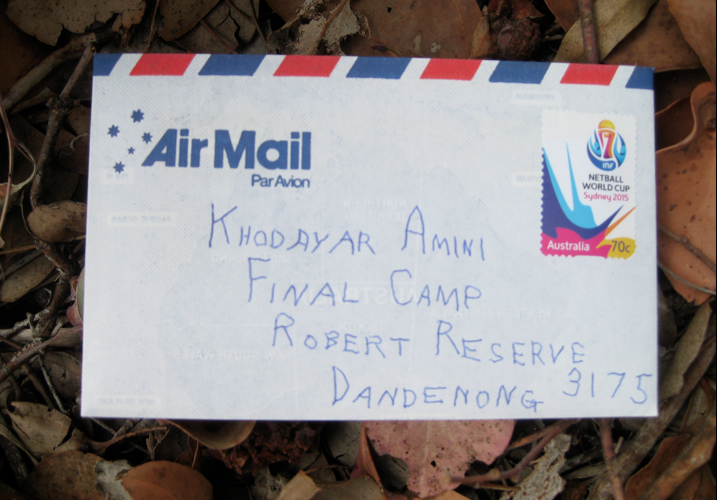 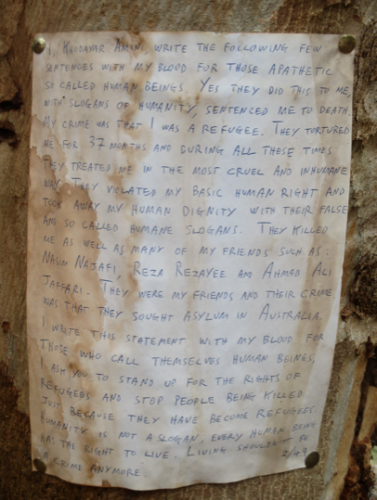 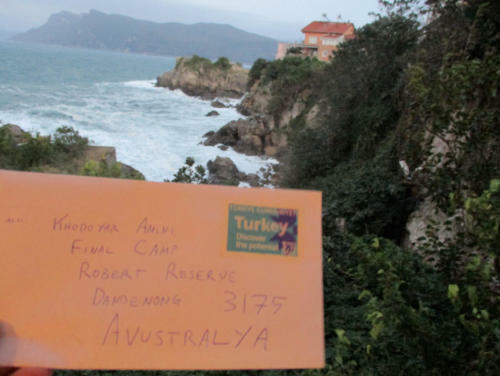 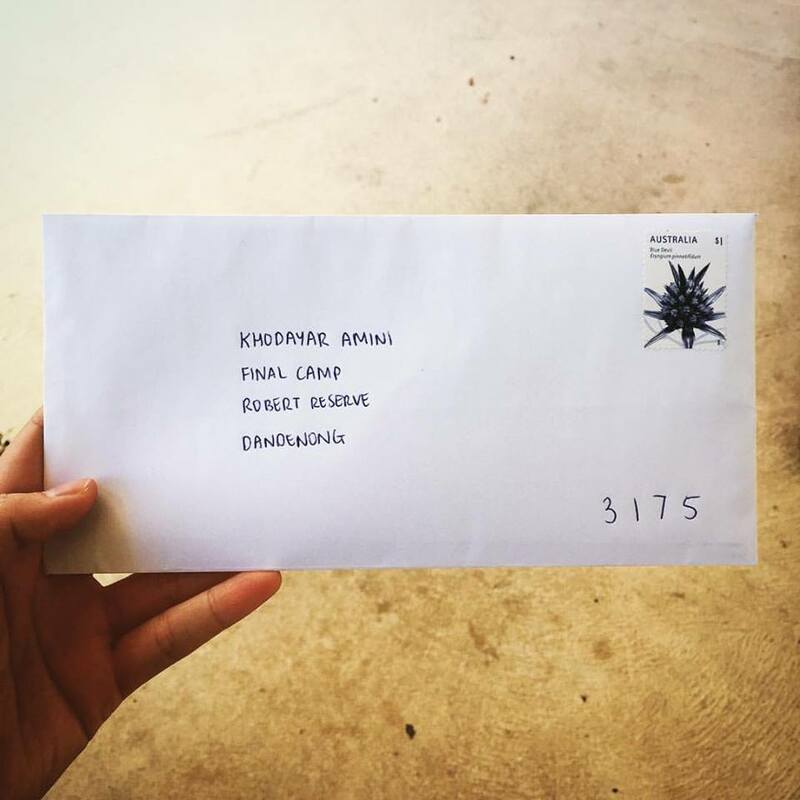 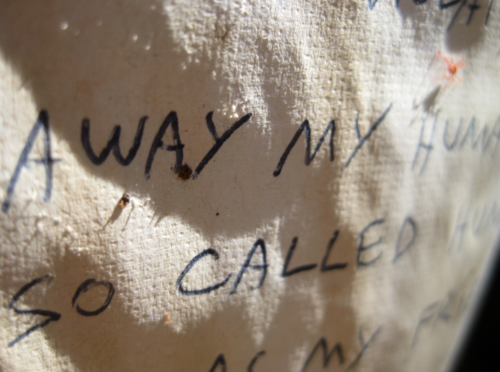 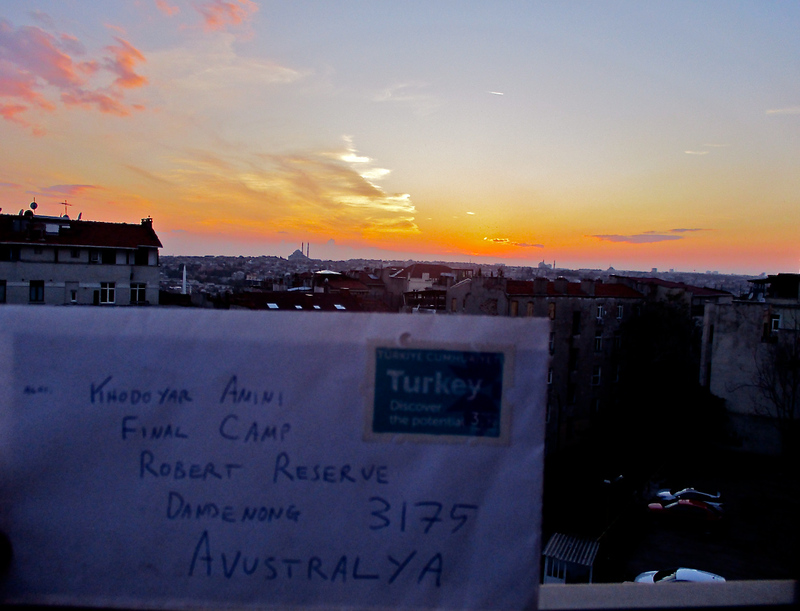 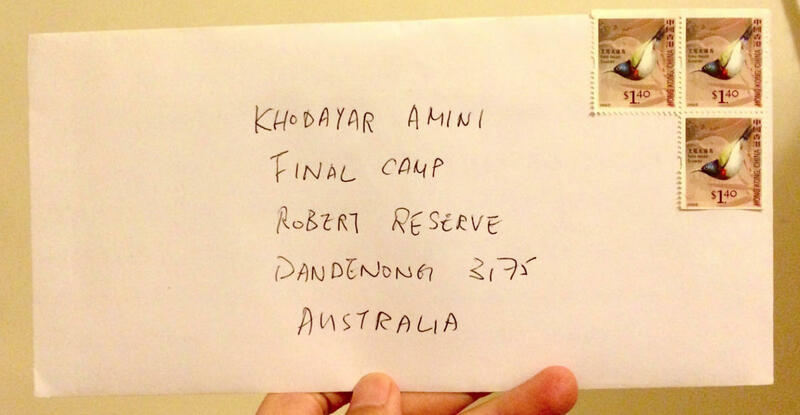 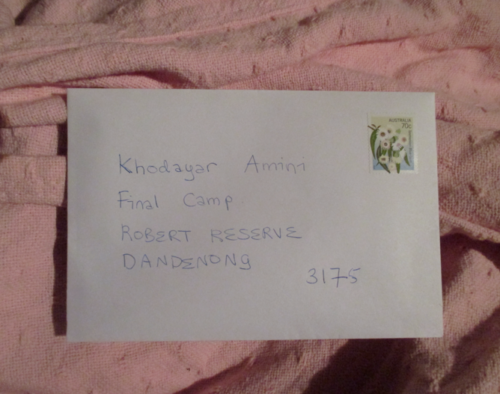 Letters posted to Khodayar at his final camp in Dandenong from around the world. 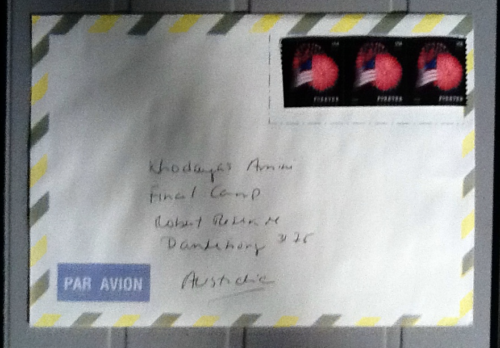 These letters have been published on Stephen’s blog ‘The Final Camp of Khodayar Amini’. 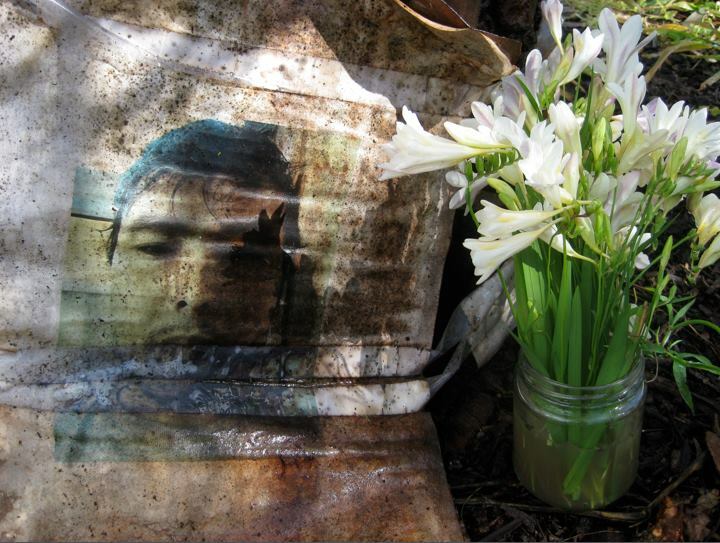 This work was exhibited as part of ‘Immerse 2016: 30 Exhibitions, 30 Days, 30 Venues in Knox’. 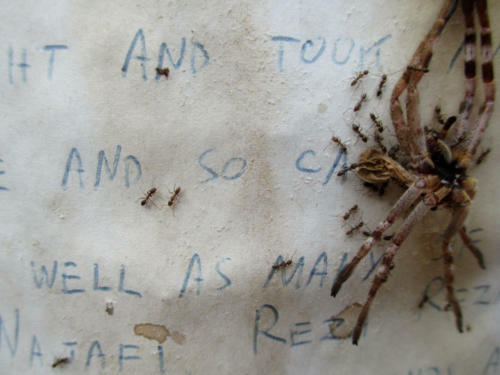 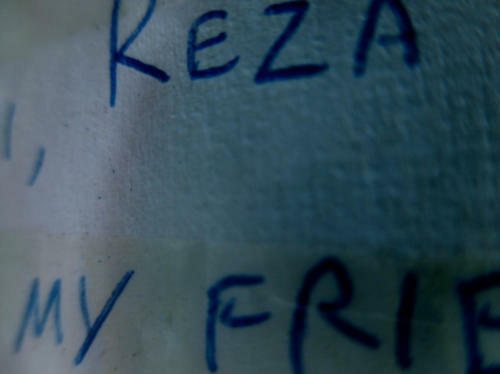 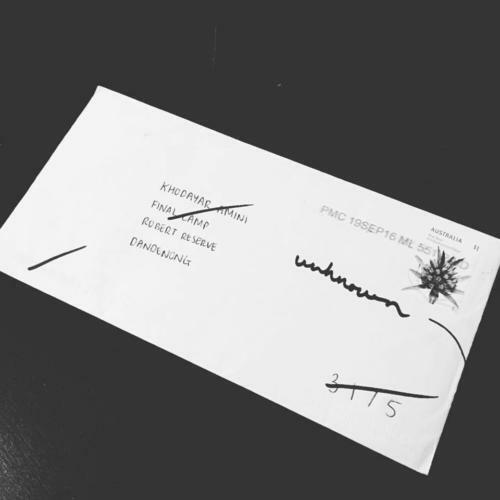 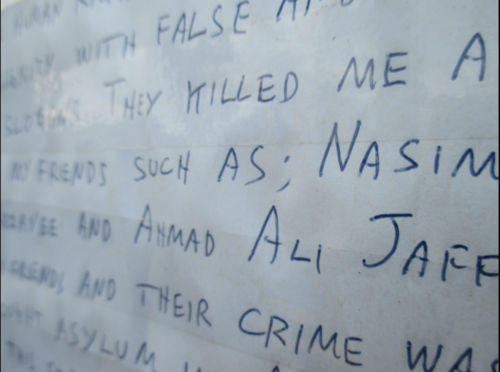 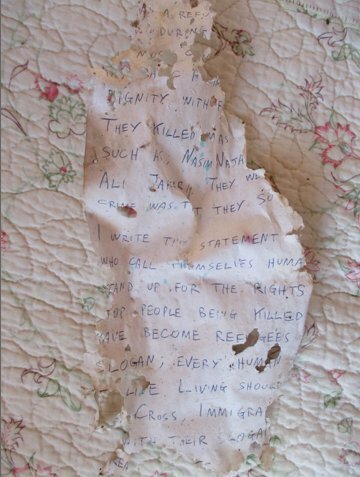 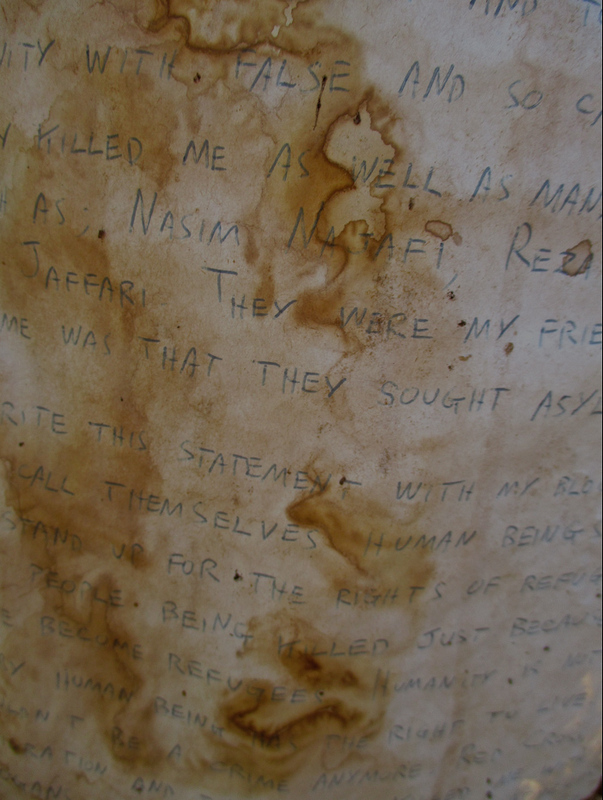 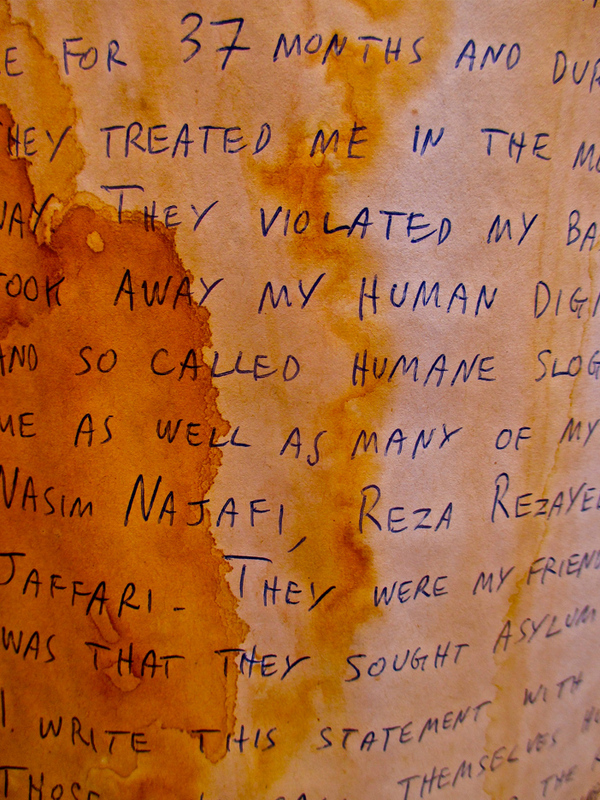 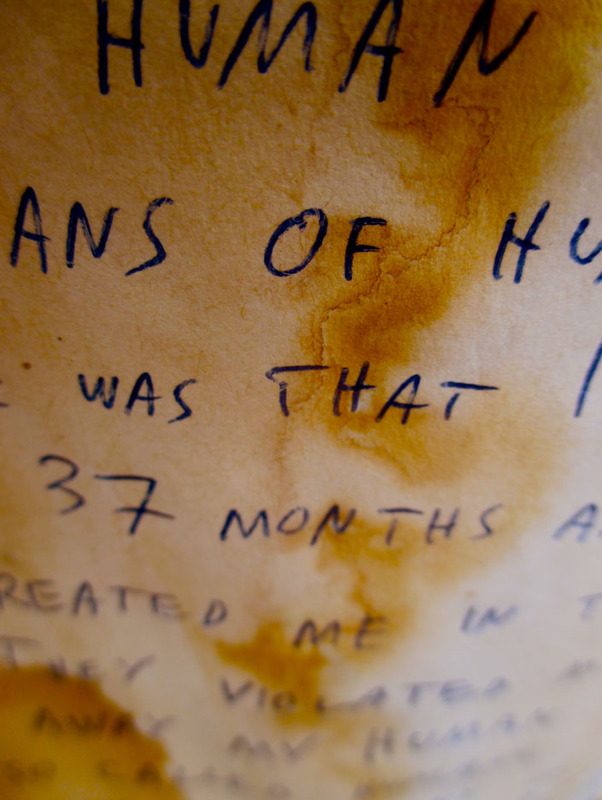 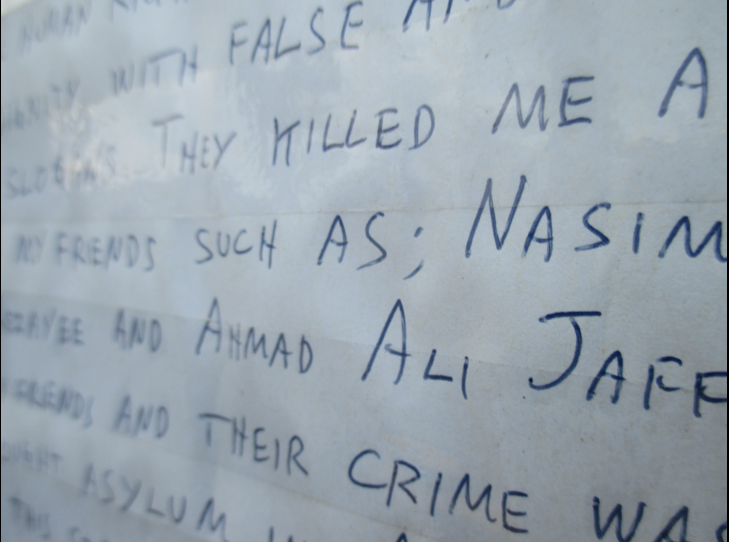 It contained both text, text fragments and photographs of text.